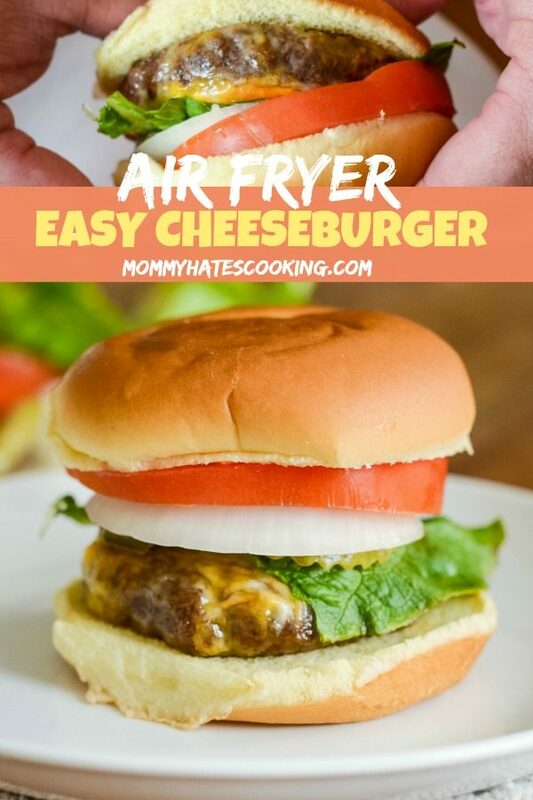 Get ready to make a delicious air fryer burger with these Easy Air Fryer Cheeseburgers! I love a good burger, do you? 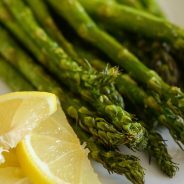 I really love it when I can make a delicious burger in the air fryer and add to my list of air fryer beef recipes. 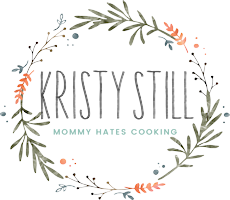 It’s truly no secret how much I love the air fryer, I use it nearly EVERY day! I am now using a Ninja Foodi, which does basically everything all in one great appliance. Find out more about the Ninja Foodi here! 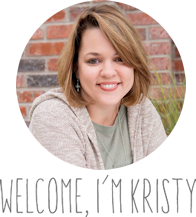 I use the air fryer option the most and they certainly did not disappoint with these Air Fryer Cheeseburgers. 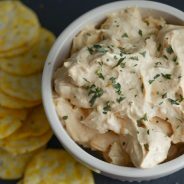 How do you make Air Fryer Cheeseburgers? 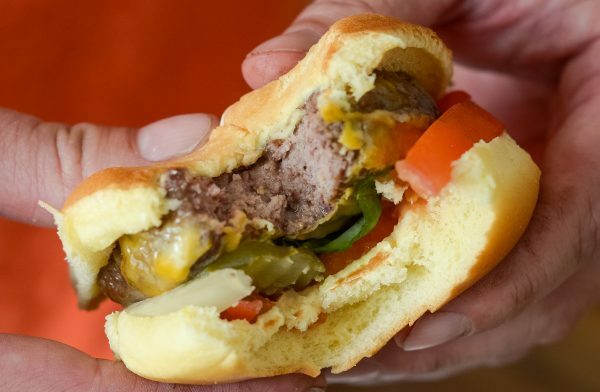 The key here is picking the perfect cheese and adding some tasty seasonings to your burger. 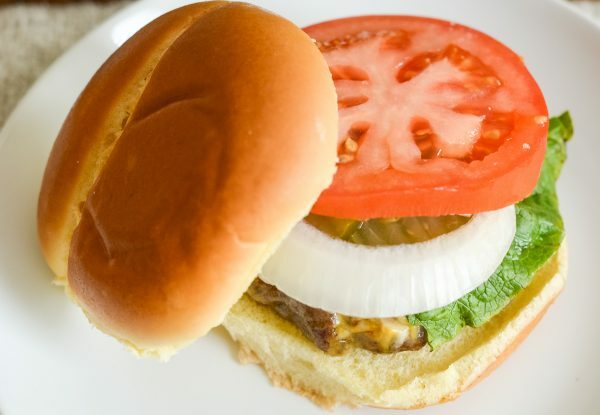 I actually decided to use Head Country Seasoning on our burgers; however, you can use the seasoning of your choice. I went with a Colby Jack Cheese but Sharp Cheddar Cheese is also a great choice for these. We eat gluten-free in our household but I splurged for my husband and decided to grab some Hawaiian Buns instead of traditional hamburger buns. They have the burgers a great flavor. My son and I used our gluten-free bread instead. That just meant everyone was happy! 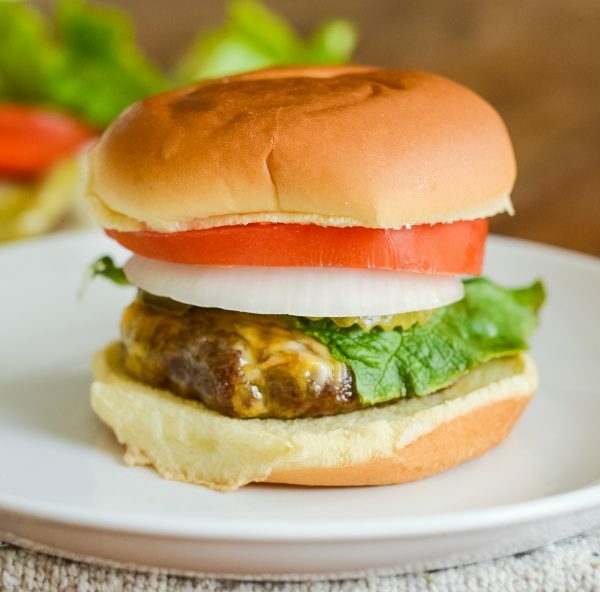 Making Air Fryer Burgers is very simple, you will want 1/4 pound patties and then season them. 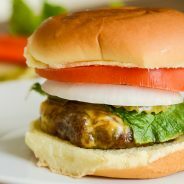 These can be made using ground beef that you put together or you can use premade patties as well. I actually prefer to buy the premade patties at the store that are fresh ground chuck. I’m not talking about the frozen ones in the freezer aisle but those made with fresh meat in the meat aisle at your local grocery store. 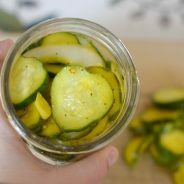 These just make the prep time a little bit faster and less mess. Once I have the patties seasoned it’s time to cook them. I went with cooking the burgers for 12 minutes at 375 degrees, turning them halfway through the cook time. YES! I use aluminum foil in the air fryer regularly. The key here is you just want to be sure it’s rolled up on the sides so that the air can still easily circulate. I do think it is best to use it when making air fryer cheeseburgers. It makes clean up easier since they are greasy, plus it catches any cheese that may melt over to the side as well. In this picture, I didn’t use foil, which means the cheese gets on the basket quite a bit. The key though is to be sure to spray the foil with non-stick cooking spray before placing the burgers on it. What do you need for the burgers? How long does it take to make Air Fryer Burgers? I made these in 12 minutes at 375 degrees. It’s important to note though that all air fryers heat a bit differently so it may take you more or less time. I always suggest checking on the meat you are cooking about halfway through the cook time to be sure it’s cooking properly and you will get an idea of if it’s almost done. I checked these at 8 minutes and they were still too pink for our liking, so we went with 12 minutes. We like them well done though, so for more of medium doneness, you would want to check them around 8-10 minutes. Also note that these were fresh hamburger patties, not frozen. 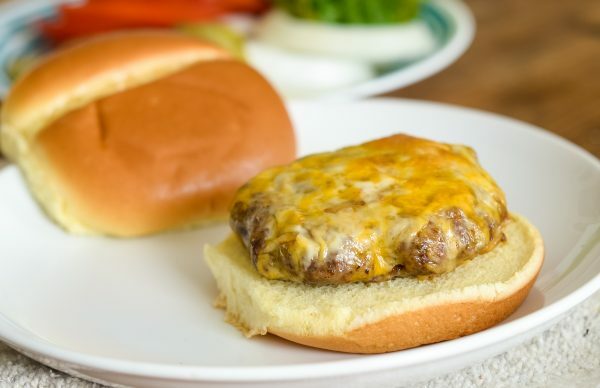 How do you make these Gluten-Free Air Fryer Cheeseburgers? All you need to do is make sure your seasoning is gluten-free, then switch your bun out for a gluten-free bun. 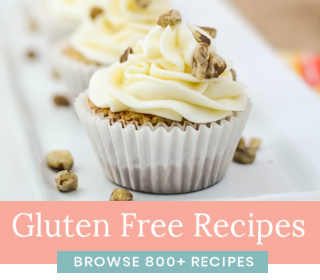 I actually prefer to simply use gluten-free bread or no bun at all, makes it low-carb too! 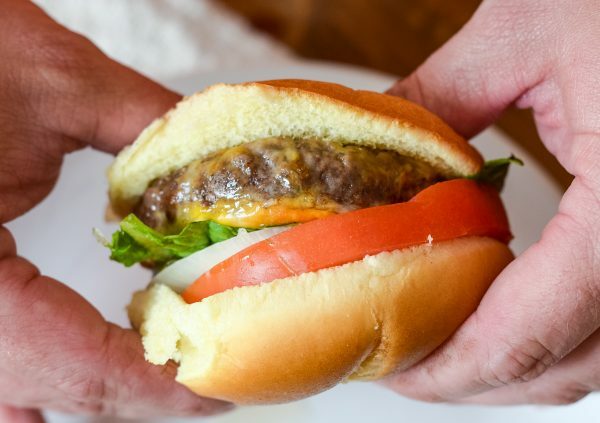 What should you serve these burgers with? We like to serve ours with Air Fryer Potato Chips or Air Fryer French Fries. 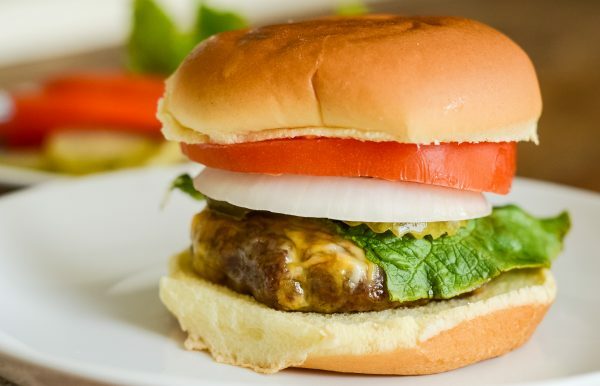 Make these delicious Air Fryer Cheeseburgers in just 12 minutes! 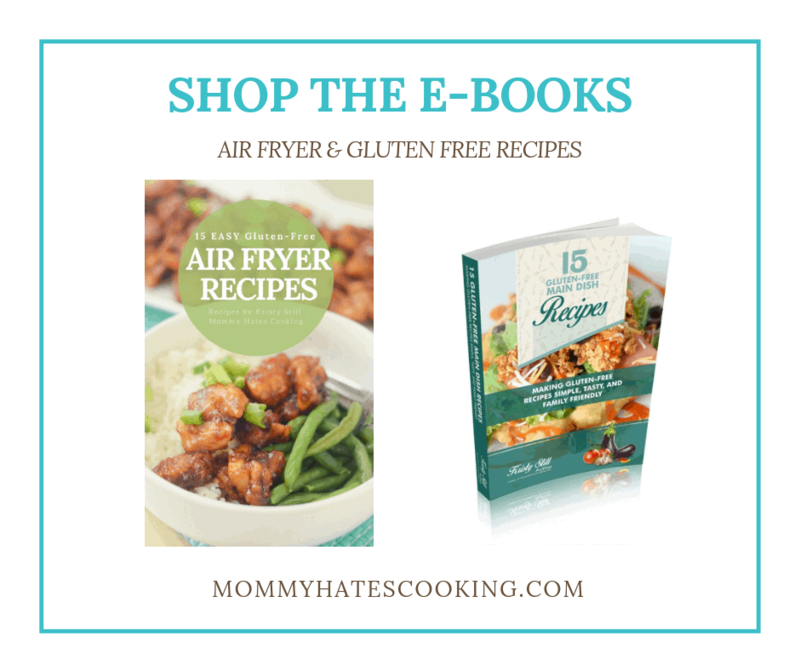 Spray the air fryer basket with non-stick cooking spray or the foil-lined air fryer basket. Place the seasoned patties in the air fryer basket. Cook for 5 minutes at 375 degrees, turn the patties and cook for an additional 5 minutes. 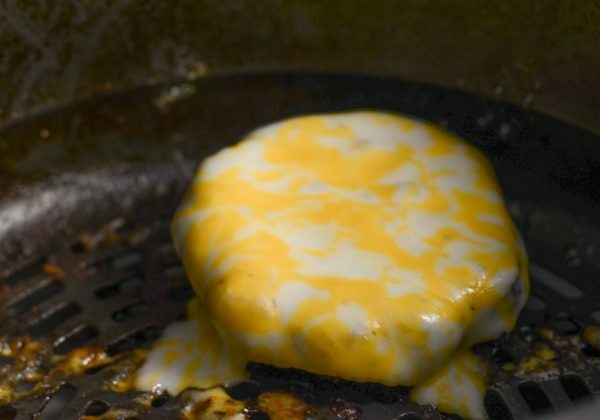 Add a slice of cheese to each patty and cook for an additional 2 minutes or until your desired doneness. Note - We used these cook times for well done. If you prefer more pink or red in your burger, add the cheese after 8 minutes. 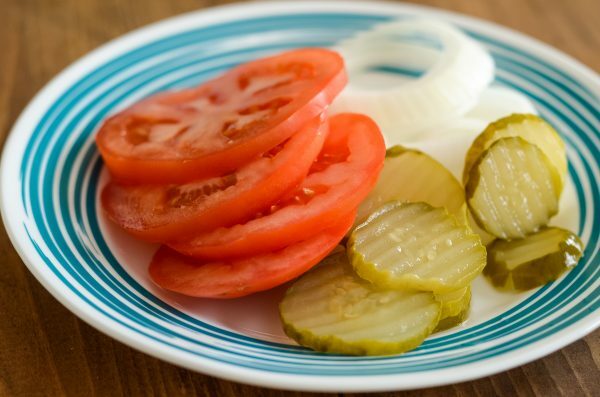 Remove the burgers and build your burger with your desired toppings. Remember all air fryers heat differently, it's important to check the meat after about 5-8 minutes to be sure it does not overcook past your desired doneness.